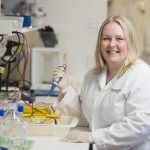 Dr Lawlor received her PhD in Medical Biology in 2004 at the Walter and Eliza Hall Institute of Medical Research and The University of Melbourne. After being awarded an NHMRC CJ Martin Overseas Biomedical Fellowship, she completed postdoctoral research at the Cambridge Institute for Medical Research, University of Cambridge, UK and the Walter and Eliza Hall Institute, most recently in the laboratory of Dr James Vince. During this time she established expertise in the molecular and cellular dissection of inflammatory signalling pathways, and the translation of these findings in vivo using models of autoimmune, inflammatory and infectious diseases. In 2018, she was recruited to head the Cell Death and Inflammatory Signalling group within the Centre for Innate Immunity and Infectious Diseases at the Hudson Institute. Her recent work has transformed our understanding of programmed cell death in the context of inflammation, by revealing how distinct cell death pathways can activate pattern recognition receptors, called inflammasomes, to promote inflammation. This work has resulted in numerous publications in prestigious journals, including Immunity, Nature Communications, Cell Reports, EMBO Reports, Cell, and PNAS. 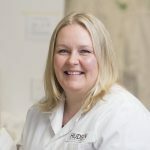 Dr Lawlor is also actively engaged with industry, acting as a scientific consultant for a number of companies and is an inventor on a patent for an anti-inflammatory therapy, now under licence and in phase I clinical trials. Lawlor KE*, Feltham RL*, Yabal M*, Conos SA, Chen KW, Ziehe S, Graß C, Zhan Y, Nguyen TA, Hall C, Vince AJ, Chatfield SM, D’Silva DB, Pang KC, Schroder K, Silke J, Vaux DL, Jost PJ‡, Vince JE‡ *Joint first authors (2017) XIAP Loss Triggers RIPK3 and Caspase-8-Driven IL-1b activation and Cell Death as a Consequence of TLR-MyD88-induced cIAP1-TRAF2 degradation. Cell Reports 20: 668-682. Conos SA, Chen KW, De Nardo D, Whitehead L, Hara H, Vaux DL, Nùñez G, Masters SL, Murphy JM, Schroder K, Lawlor KE*, Lindqvist LM*, Vince JE* *Joint senior authors (2017) Active MLKL triggers the NLRP3 inflammasome in a cell intrinsic manner. Proceedings of the National Academy of Sciences USA 114:E961-E969. Lawlor KE, Khan N, Mildenhall A, Gerlic M, Croker BA, D’Cruz AA, Hall C, Spall S, Anderton H, Masters SL, Rashidi M, Wicks IP, Alexander WS, Mitsuuchi Y, Benetatos CA, Condon SM, Wong WW, Silke J*, Vaux DL* Vince JE* (2015) RIPK3 promotes cell death and NLRP3 inflammasome activation in the absence of MLKL. Nature Communications 6:6282. 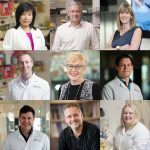 Allam R*, Lawlor KE*, Yu EC, Mildenhall AL, Moujalled DM, Lewis RS, Ke F, Mason KD, White MJ, Stacey KJ, Strasser A, Alexander W, Kile BT, Vaux DL, Vince JE *Joint first authors (2014) Mitochondrial apoptosis is dispensable for NLRP3 inflammasome activation but non-apoptotic caspase-8 is required for inflammasome priming. EMBO Reports 15:982-990. Lawlor KE, van Nieuwenhuijze A, Parker KL, Drake SF, Campbell IK, Smith SD, Vince JE, Strasser A, Wicks IP (2013) Bcl-2 overexpression ameliorates immune complex-mediated arthritis by altering FcγRIIb expression and monocyte homeostasis. Journal of Leukocyte Biology 93: 585-597. Lawlor KE, Smith SD, van Nieuwenhuijze A, Huang DC, Wicks IP (2011) Evaluation of Bcl-2 antagonist ABT-737 in collagen-induced arthritis. Journal of Leukocyte Biology 90:819-829.